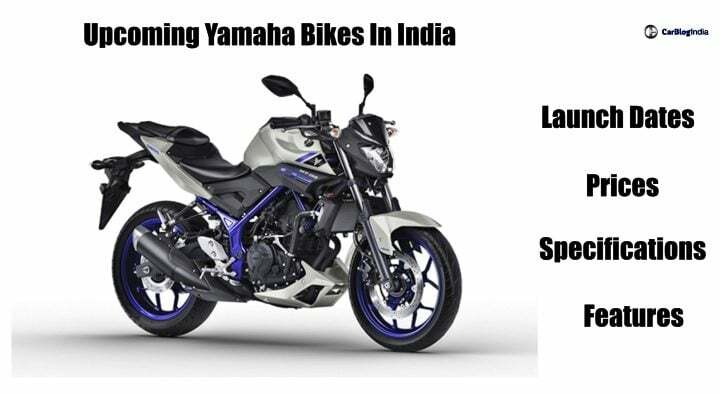 Check out the list of upcoming new Yamaha bikes in India. Most of the bikes from this list are expected to be launched in India in 2019-20 timeline. Yamaha FZ V3 has been finally launched in India. It gets multiple cosmetic upgrades, new features and a single-channel ABS setup. The prices start at Rs 95,000 (ex-showroom). At the launch event, Yamaha confirmed that it will be launching new motorcycles under ‘Call of the Blue’ program. 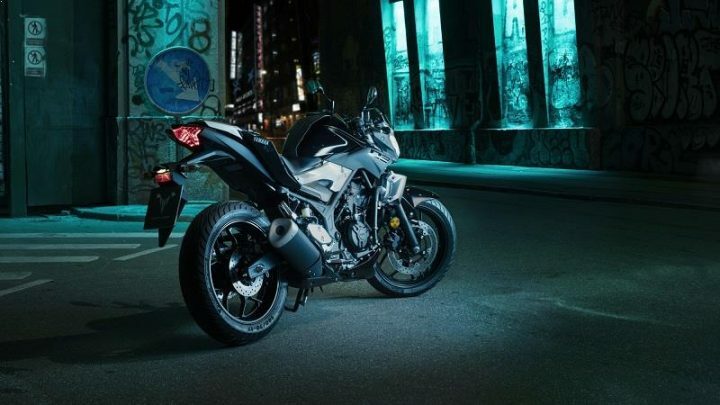 They have also confirmed that launch of Yamaha MT-15, probably by next month. From the FZ range of motorcycles to the Fascino scooter and a few products in between (YZF-R3), Yamaha has had a good run in India. Now, Yamaha plans to enter entry-level performance motorcycle segment. So, here is a list of upcoming new Yamaha bikes and scooters in India, to know what the brand has in store for us in near future. Yamaha MT-15 was recently showcased in Thailand, where it might replace the M-Slaz naked bike. Reports suggest that the naked streetfighter version of R15 might launch in India by 2019. Yamaha R15 is the most affordable performance motorcycle and this might be another performance motorcycle from Yamaha. It will go against the likes of KTM Duke 200 because MT-15 will be priced higher than usual 150cc bikes. We expect a price range of around Rs 1.3 Lakhs or so. It will also be equipped with Anti-Braking safety feature. The MT-03 is a naked version of the YZF-R3. So, minus the fairing, it is the same as the R3. This means a 321cc parallel-twin engine powers the MT-03 and makes 42BHP power and 30Nm torque. This engine will be paired to a 6-speed gearbox. The MT-03 borrows its styling cues from bigger bikes such as the MT-09. In the features department, this bike will likely come with ABS as standard equipment. Yamaha may give it a slipper clutch too but the likelihood of that happening is low. Expect this bike to come to India in Black and Blue colours sometime in 2019. Its competition will include BMW G310R and KTM Duke 390. 2019 Yamaha R3 will receive minor visual upgrades to make it look sportier than the current gen. It will receive revisions to the front portion, its trademark gills and will sort a bigger air intake. The alloy wheels and the rest of the body remain the same. It will continue with dual-channel ABS, LED headlamps and its twin-cylinder 321cc engine. The engine produces 41.4 BHP and 29.6 Nm of peak torque. The prices will increase by a little margin. The NMax scooter was showcased by Yamaha at 2016 Auto Expo. The company will likely bring it to India to compete against the likes of Aprilia SR 150. 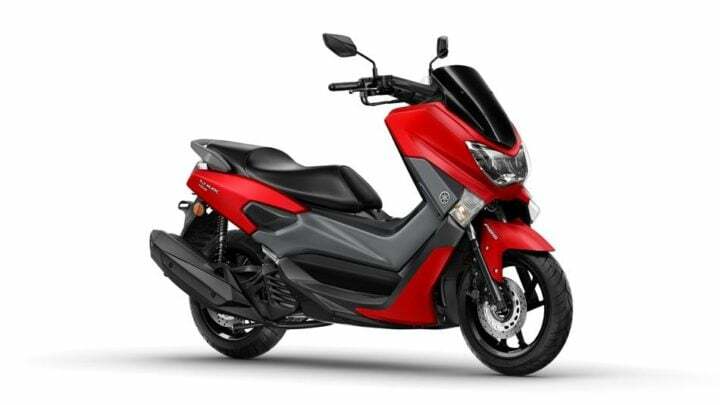 In this application, the fuel-injected 155cc engine of the NMax will make 15BHP power and 14.4Nm torque. Paired with a CVT automatic gearbox, this scooter should be quite zippy. Incidentally, this 155cc engine will also perform duties on the YZF-R15 V3.0. The new 100cc bike from Yamaha will likely come during the festive season of 2017. This bike will likely replace the Saluto RX in Yamaha’s India lineup. Using the same engine as the Saluto RX, this bike will likely have power and torque outputs of 9BHP and 9Nm, respectively. Expect to see this bike sport a 4-speed gearbox. The new 100cc scooter from Yamaha will likely be a replacement for the Cygnus Alpha scooter. The sales of the Cygnus Alpha have not been as great as Yamaha would have liked while the Fascino has been doing quite nicely. So, the new 100cc scooter will likely draw styling inspiration from the Fascino. However, its proportions will likely be similar to the Cygnus Alpha. It will likely sport the same 113cc carbureted engine as on the Cygnus Alpha and will likely make 9BHP power and 9Nm torque with an automatic gearbox onboard. This scooter will likely rival the Activa 110 from Honda and Jupiter from TVS. So, this is all when it comes to the upcoming new Yamaha bikes in India. We hope you liked our story. Please let us know what you think about the story in the comments below. For more such stories, stay tuned to Car Blog India.